Since January 19, 2018 the practice of ozone therapy is legal in the state of Nuevo Leon of the Mexican Republic. Ozone therapists must have the corresponding knowledge backed by diplomas legally issued and registered. Amozón (Mexican Ozone Therapy Association), a founding member of Imeof (International Medical Ozone Federation) and with its support, played a very important role in the inclusion of ozone therapy in the state legislation. Thirteen countries have already regularized ozone therapy in all or part of their territory. The state of Nuevo León shall promote and encourage the research of ozone therapy and for achieving this objective it must have a specific area within the health sector of the state. The state of Nuevo León ranks third, after Mexico City and the State of Mexico, in terms of the contribution to the national GDP (gross domestic product). 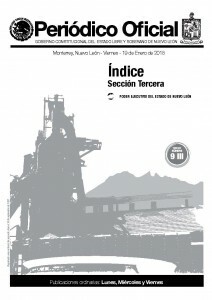 The state of Nuevo León has university institutes of the most prestigious in Latin America such as the Monterrey Institute of Technology and Higher Education (ITESM), and the University of Monterrey (UDEM). 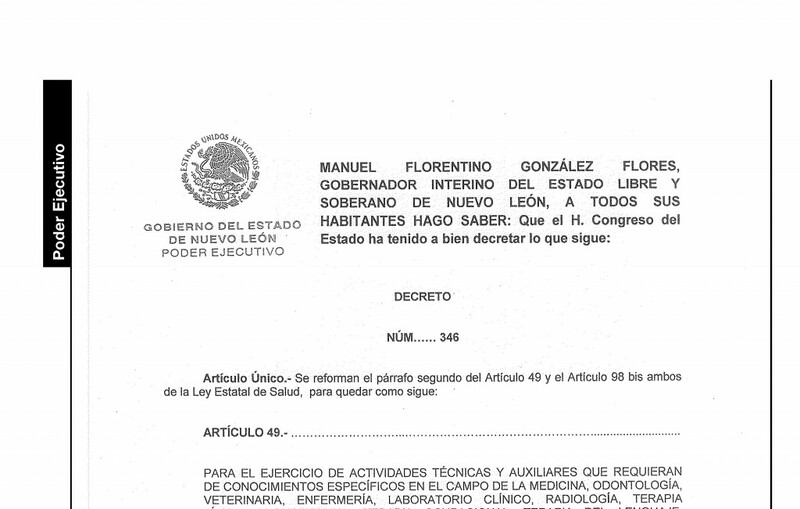 It is now up to the Secretary of Health of the State of Nuevo León to issue the corresponding regulation of the reform adopted by Decree 346 of 2018. Amozón (Mexican Association of Ozone Therapy), founding member of Imeof (International Medical Ozone Federation), under the chairmanship of Dr. Froylán Alvarado, played a very important role so that the Congress of the State of Nuevo Leon had included ozone therapy in the state law of health. Imeof provided scientific and legal support to Amozón throughout this legislative process. In most of these countries Imeof (International Medical Ozone Federation) has been actively involved in the regularization of ozone therapy.